“El Greco” (“A man called El Greco” / 1966) is my second choice for this blog. It is a very rare movie which is not available on dvd/Blu Ray. It can only be seen through the Fox Movie Channel. 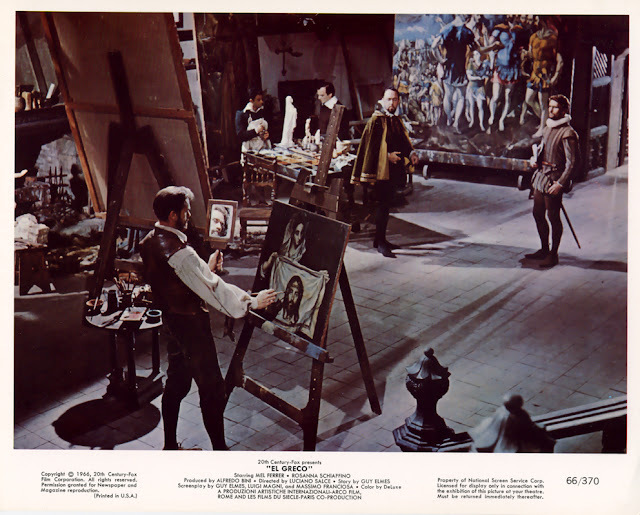 The movie is a “biopic” of one of the greatest painters of the Spanish Renaissance, Doménikos Theotokópoulos, (1541 / 1614) known in History as “EL Greco”. The Story : 1576, in Spain, the painter “El Greco” (Mel Ferrer) signed contracts for a group of paintings that was to adorn the church of Santo Domingo el Antiguo in Toledo. 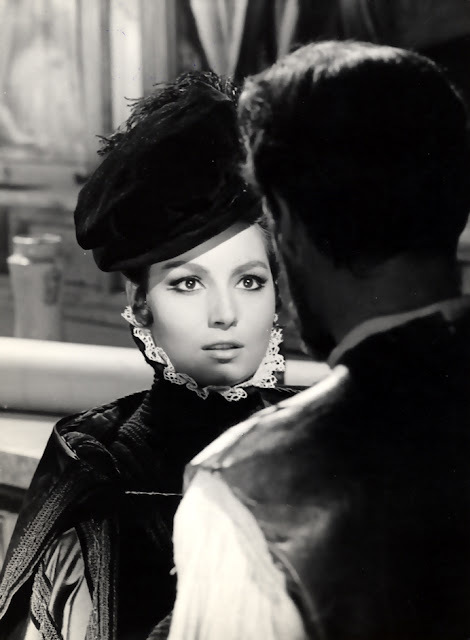 Here, he fell in love with an aristocratic Spanish lady Jerónima de Las Cuevas (Rosanna Schiaffino). The two lovers had to face the dark time of the Inquisition, the lavish courts of Spain and above all the conflicts between their social classes. 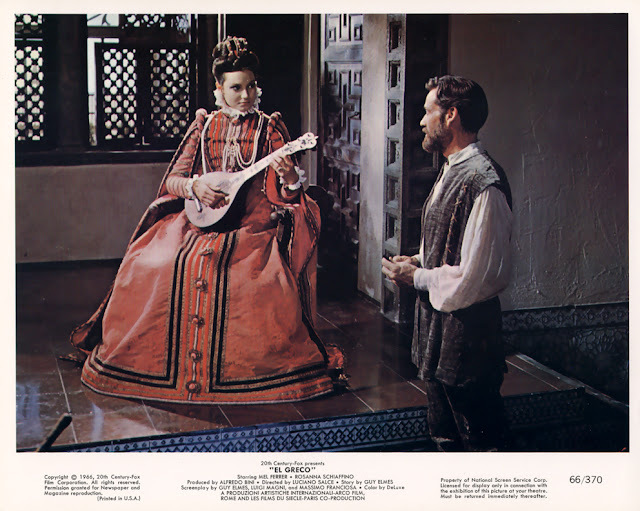 In 1966, the international actor, Mel Ferrer (“War & Peace” (1956), “Scaramouche” (1952)) produced this movie which had all the ingredients of a beautiful love story in the way of Shakespeare’s “Romeo & Juliet”. Also, it was an interesting opportunity to Ferrer because the movie told about the liberty of creation and the place of the artist, in our civilized society, who sometimes has to fight against the political / religious powers of this dark period. He was joined by an Italian producer Alberto Bini (“Arco Films”) and by 2 other production companies (“Produzioni Artistiche Internazionali » and « Les Films du Siècle »). Twentieth Century Fox Film Corporation was in charge of the English dubbed version and for the distribution rights overseas. 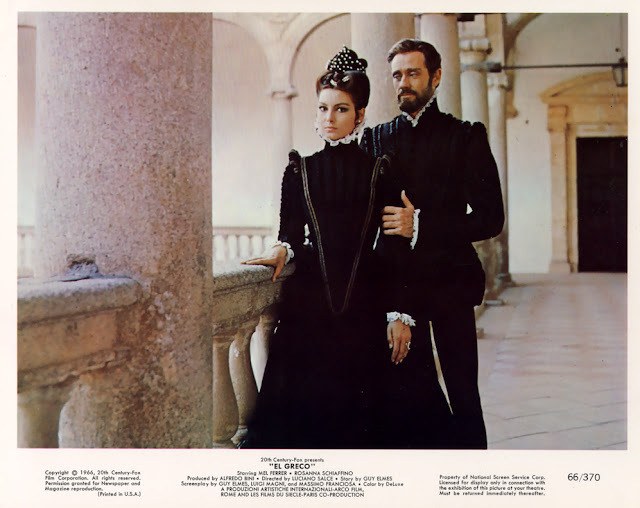 Luciano Salce directed the movie and the great talented composer Ennio Morricone composed the Music score. The two men had already worked together on “Il Federale” / "The Facist" (1961). 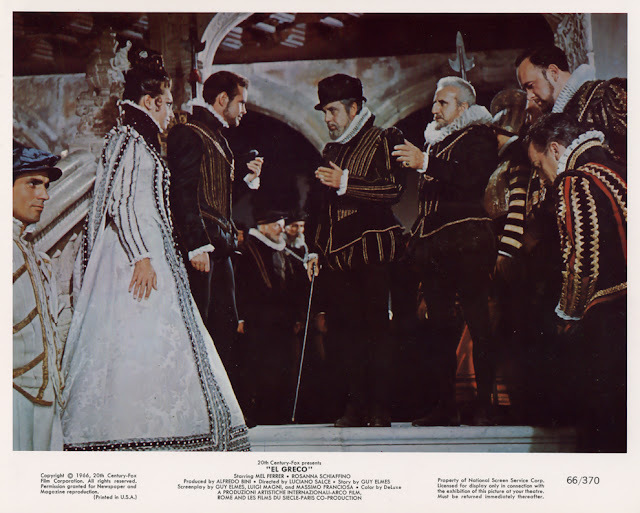 Four veteran screenwiters wrote the script : “Guy Elmes (“The Story of Joseph and His Brethren” (1960)), “Massimo Franciosa (“The Leopard” (1963) ; « Ladro lui, ladra lei” (1958)), Luigi Magni (“Nell'anno del Signore” (1969) ; “La Mandragola” (1965)), and Juan García Atienza. Leonida Barboni was the cinematographer (« La Grande Guerra” (1959) ; “La Viaccia” (1961), “L'Aventuriero / The Rover” (1967)). 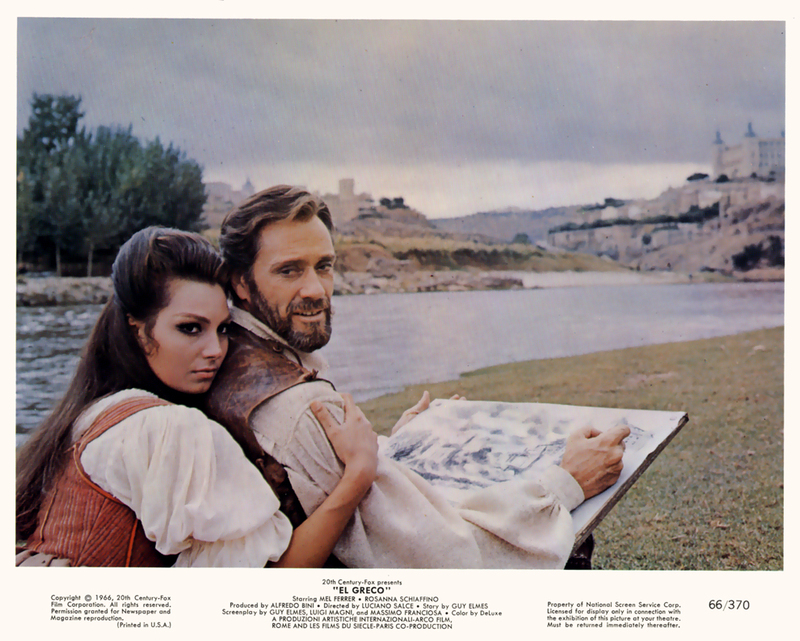 He was the perfect choice for “El Greco” The movie was shot in a very beautifull cinemascope and in De Luxe color. Like “The Last Valley” (see the topic), the story of “El Greco” was during a very dark period of the European history. 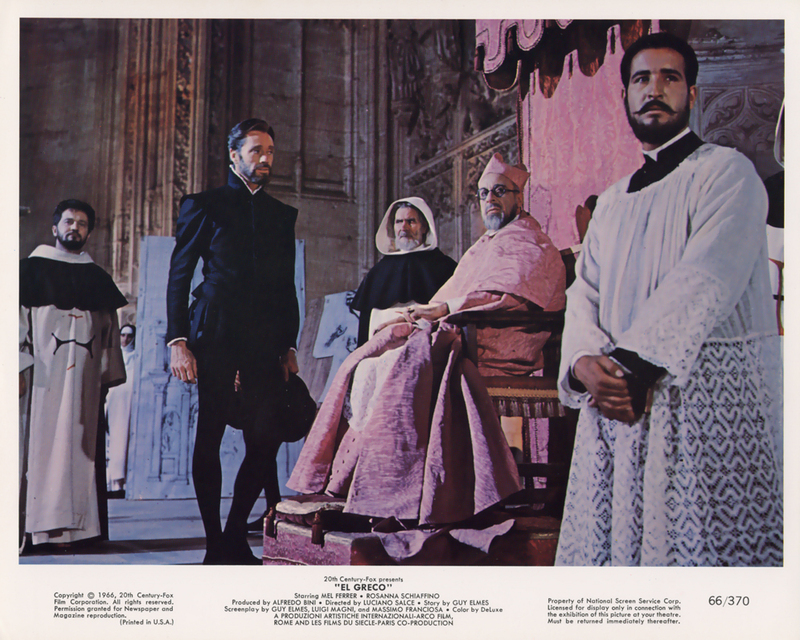 This time, the story took place during the Spanish inquisition which was one of the worst religious dictatorship power in the world. But, above all, the movie is a very romantic love story. 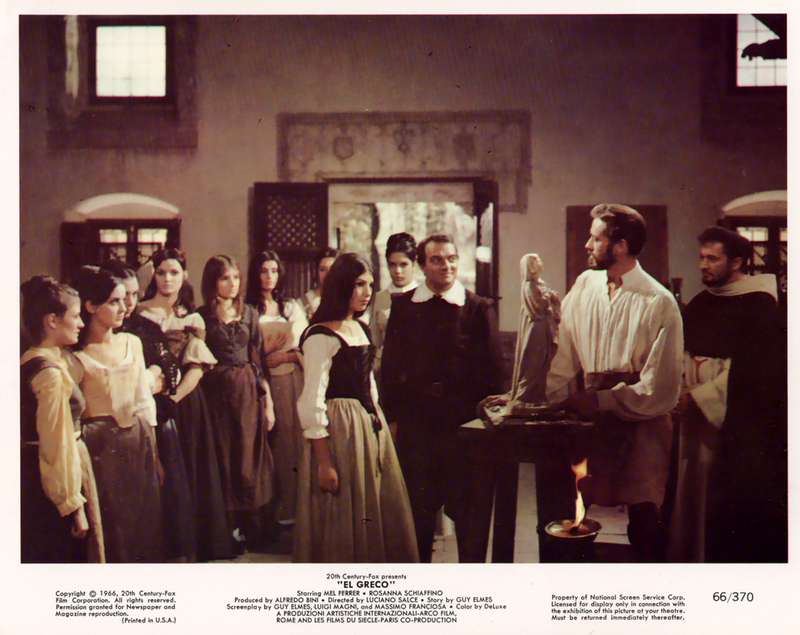 The gorgeous italian “goddess”, Rosanna Schiaffino, shows in this film his very talented skills of actresse. The relationship between the two actors works on the screen wonderfully. Ennio Morricone, who was at his most creative period, wrote at the same time a strange and romantic atmosphere by using an “avant-garde” score in which he merged a native Spanish orchestration with a large symphonic orchestra plus chorus. In my opinion, the love theme is among the best he composed together with the ones of “La Califfa” (1970) and “Guns for San Sebastian” (1968). If you don’t know this score, please get the Italian CD album reissued by GDM a few years ago. 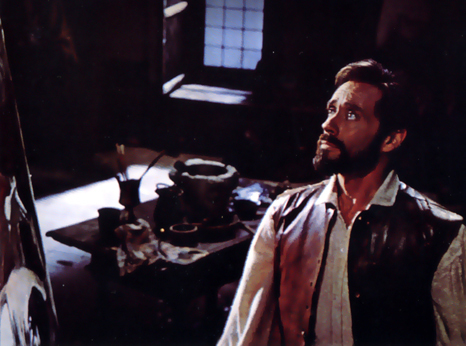 I'm lookin for the El Greco 1966 movie (for scientific/literature purposes) - and cannot find it. Any chance to get a copy of this movie, from nobody? Thank you for your comment. As I said on the blog, this movie is impossible to find on "Amazon" because “El Greco” is not available on video. The only way to see it, is through the Fox Movie Channel. Watching it tonight on Turner Classic Movies - March 14, 2016.